The Vatican sent mixed messages to the People’s Republic of China before and at the end of Pope Francis’s two-country Asia visit, which ended earlier this week. In mid-December, the Pope declined to meet the Dalai Lama, who was visiting Rome. At the time, the Vatican cited the sensitivity of such a meeting, knowing full well that China’s government sees the Dalai Lama as a “splittist” who is seeking Tibetan independence. However, at the conclusion of his trip to the Philippines and Sri Lanka this week, he told reporters that Vatican protocol does not permit the pope to receive “heads of state and people at that level when they are taking part in an international meeting.” Protocol perhaps, but the international meeting in this case was a gathering of Nobel Peace Prize winners. Considering the pope’s general openness and popularity due to his seeming friendliness, turning down a meeting with a Nobel Peace Prize winner and fellow global religious leader seemed out of character, if not overtly political. Pope John Paul II was the last pope to receive the Dalai Lama. Pope Francis sent greetings to President Xi Jinping, as he did for all of the leaders of countries his plane flew over during his journey back to Rome. 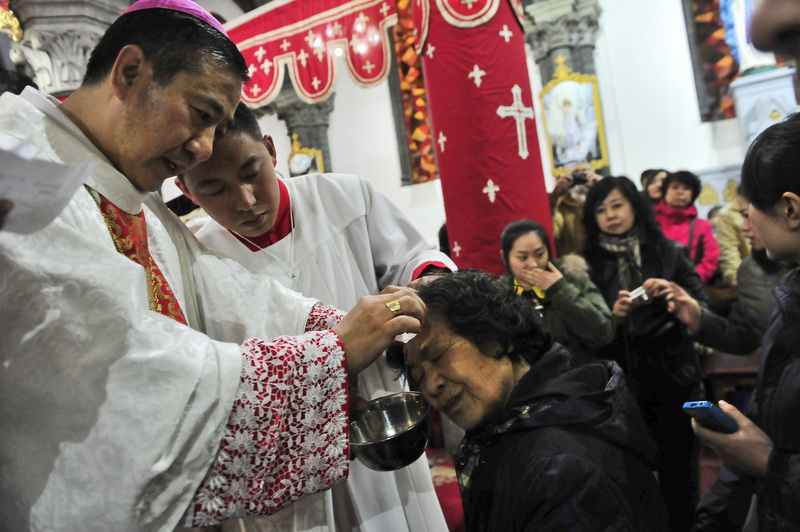 While China has indicated it wants better relations with the Vatican, its recent crackdown on some Christian groups, including the demolition or punishment of Protestant churches in coastal Zhejiang province, demonstrate its commitment to maintaining control over religious groups and fending off outside religious influence. The Pope said Mass and spoke to record crowds during his five-day visit to the Philippines, the only majority Christian country in Asia, and the nation with the third-largest Catholic population in the world, after only Brazil and Mexico.